Adored for their ochre walls and distinctive architecture, and the lively locals who frequent them, the streets of Rome strike a fascinating balance between the past and the present. With a background in historical studies and a love for new experiences (readers of her popular food and travel blog, HeartRome, will know she once flew across Europe to dine among a table of strangers when offered a last-minute seat at a world-renowned Michelin-star restaurant) Maria Pasquale always knew she was destined to spend her days wandering their cobblestone pathways and uncovering their secrets. 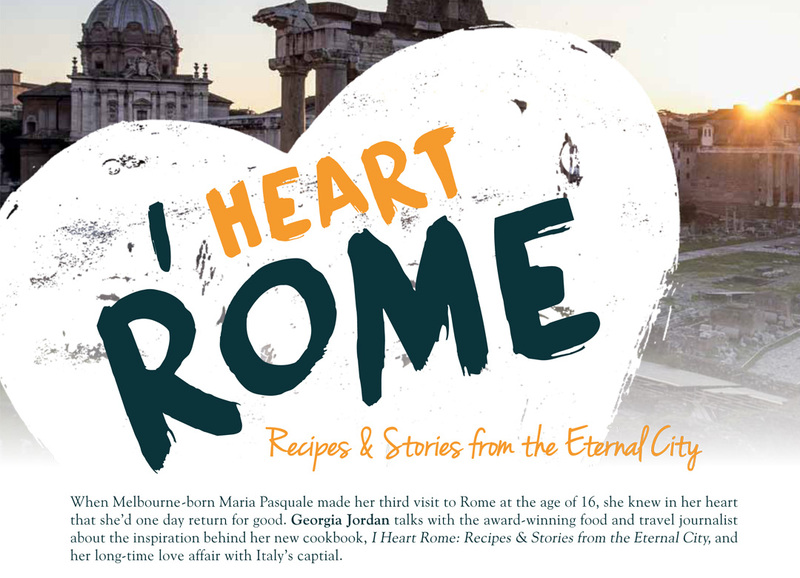 Since Pasquale moved from Melbourne to the eclectic neighbourhood of Trastevere in 2011, more than 30,000 social-media followers have kept up with her adventures online, where she reviews her latest culinary finds, reflects on encounters with local cheese mongers, wine experts, bakers and chefs, and shares her musings on the Roman way of life. 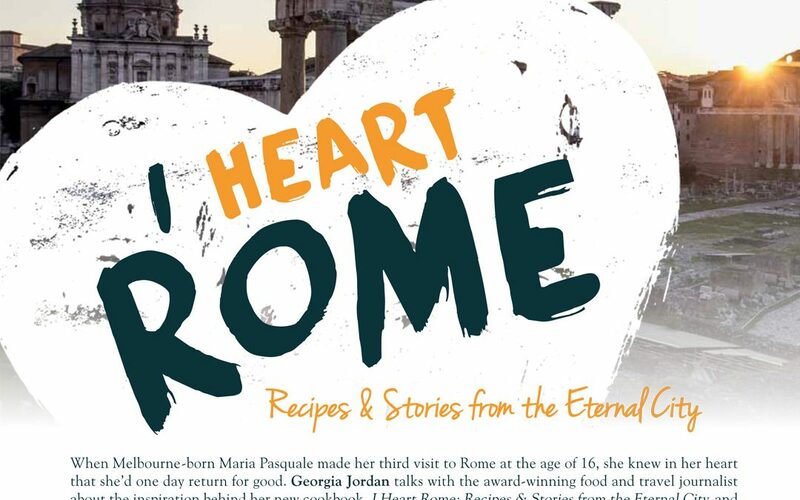 In her new cookbook, I Heart Rome: Recipes & Stories from the Eternal City, Pasquale invites you to experience the city she’s loved forever, and called home for more than six years. and passionately debated among the locals, from how long artichokes should spend frying in the pan for the crispiest result, to choosing just the right combination of ingredients for the silkiest carbonara. “There’s an abundance of quality produce so readily available [wherever you go], so it’s no wonder cooking is such a hot topic,” explains Pasquale. recipe was thoroughly tested by volunteers in Australia and Italy.” Pasquale also came to appreciate the importance of human-interest stories at a time when negative news floods our everyday lives via social media. “When you speak your truth, be yourself and stay faithful to your personality and identity,you have the power to strike a chord with people,” she says. “I do this on my blog [HeartRome], and with the content I curate for my social media channels. 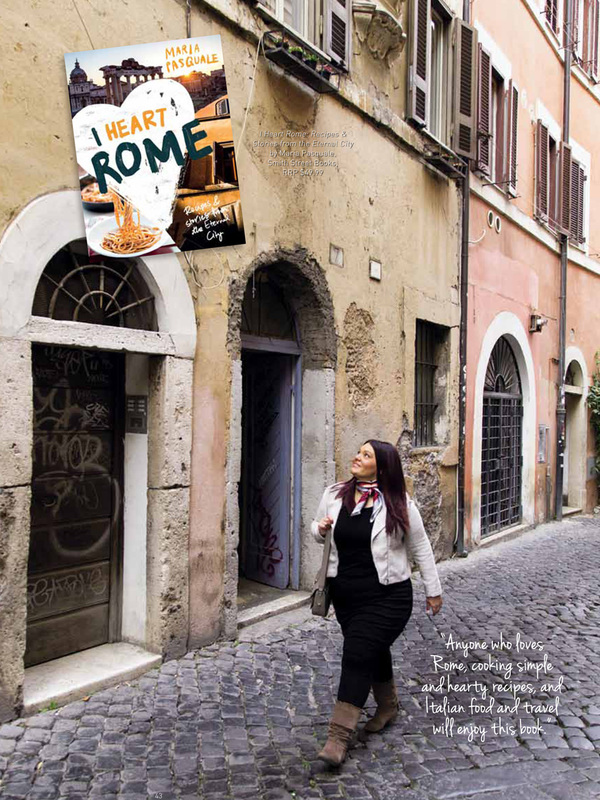 “I’ve found that people are drawn to a voice that’s authentic… many [of my] followers and readers have become friends, and [they’re] so full of admiration and encouragement for my journey – I’m forever grateful for this.” If you’ve not yet had the opportunity to visit the eternal city, or if it’s been too long since your last authentic macchiato, I Heart Rome: Recipes & Stories from the Eternal City will have you planning the perfect itinerary for your next trip, complete with plenty of hidden gems! Until the time comes, the classic recipes and quirky stories within Pasquale’s exquisitely crafted cookbook are sure to keep both your stomach and soul well fed.